We've been talking about it for YEARS, but we finally did it - we added a home server. 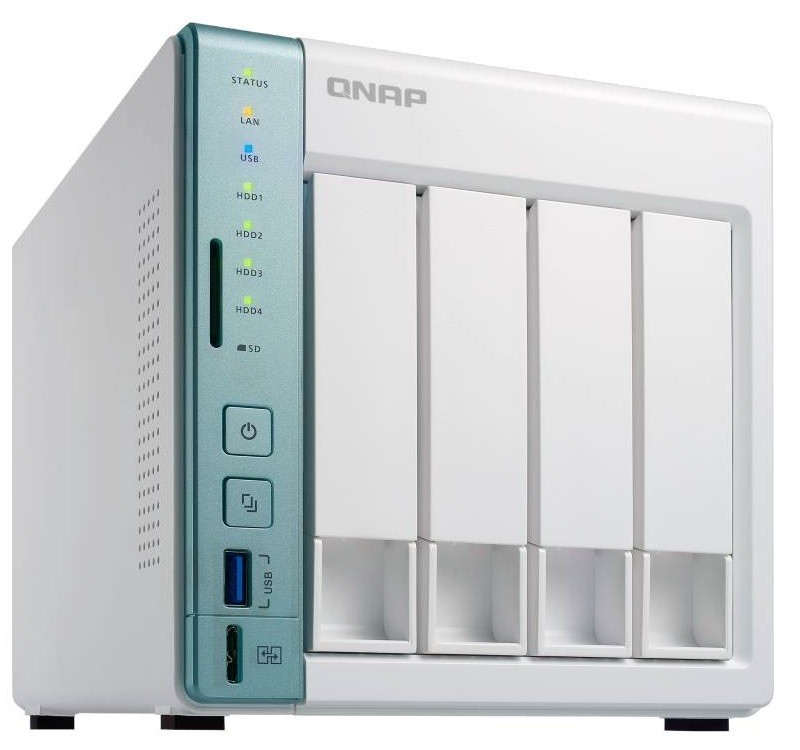 Specifically, we purchased a QNAP TS-451A network attached storage system. I'm only scratching the surface with this NAS so far. But already, it's one of the more exciting "IT" purchases we've made. Suddenly, we have near-infinite storage space. And it's always on. And when we upgrade our iMac, our data will still be right there. This is a fair question. Cloud services get better and better all the time - why would we need a physical server in our house, anyway? 10 years ago, we may have used it to store and stream our music collection. Today, our music is almost ALWAYS coming from Apple Music, via Sonos. Even 5 years ago, we might have used it to stream ripped DVDs. Today, we exclusively use Apple TVs, and we have SO many streaming video options (Netflix, Hulu, PS Vue, HBO Now, iTunes, Amazon, etc.) that almost anything you can think of is available - worst case, as a cheap rental. which could handle Time Machine backups. That is quite a laundry list of functions - but most QNAP and Synology NAS devices are up to those tasks. We may - at some point - want to use the NAS for more things. But for now, those 5 bullet points are what we're after. Which Home NAS Did We Choose? It has 4 drive bays. 4 bays provides some flexibility. We'd like to have a RAID configuration - meaning, if any one of the 4 drives were to fail, we'd lose no data. We'll add another 4 TB drive soon, in order to be the backup. Eventually, we'll have four 4TB drives - with 8 TB of usable space, and 8 TB of RAID backup. The 451A has some other advantages. Any NAS can STORE video. But if you expect to stream your videos directly from the NAS (with no computer involved), you're going to need a NAS with some processing power. After all, it's going to be transcoding video. *This is the part where I have to mention that I really, really expected to be using a cheap NAS and a new Mac Mini running OSX Server. Maybe someday. But Apple hasn't released a Mac Mini in 3 years, and I'm not waiting any longer. The TS451A claims to be able to transcode 4K video, which is more than I'm going to need. It has a Celeron processor and 2 GB of RAM (expandable). I needed a NAS that could stream HD files via Plex to an Apple TV -- and the 451A can do that. I was torn between 2 and 4 bays.... and ultimately went for the bigger NAS. We're hoping that this NAS is relatively future-proof... given that it can do 4K video, we wanted to ensure that we'd also have enough space. I started with only 1 drive - a WD Red 4 TB drive - but the entire point of a NAS is to use multiple redundant drives in a RAID formation, so I'll be adding more soon. In any case, 8-12 terabytes of usable space is definitely future proof for our uses. A few TB will be Time Machine backups... the remainder will primarily be media. And all of this space is available to all of our Macs... and any future Macs we may acquire. It's a pretty liberating feeling to divorce your data storage from your actual computers. Really, just Plex. And that has been great. Plex - with the server on a NAS and multiple Apple TVs as viewers - is an absolutely seamless experience. Our NAS and our Apple TVs are hardwired via Ethernet, which makes things simple and ensures bandwidth... and the video quality is as good as any other cloud-based service. Putting your Plex server on a NAS means that your media server is always "on", and available. It also removes any anxiety about disk space. And once your DVDs are stored on your NAS, it removes anxiety about cabinet space! The next project is Photos. 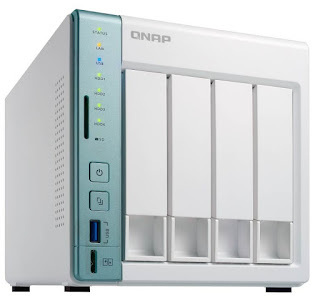 While copying the library to the NAS is no issue, we're going to want to tinker with QNAP's Photo Station software, and determine whether it's worth looking into. After that, we'll set up an iTunes server. And then, we'll set up Time Machine for all of our Macs. I still wish that Apple had released a Mac Mini worth purchasing in the last 5 years.